A Senior at MHS received a “Gold Key Award” in the NYC Regional Scholastic Art and Writing Competition, the regional part of the nationwide Scholastic Art and Writing Award competition. 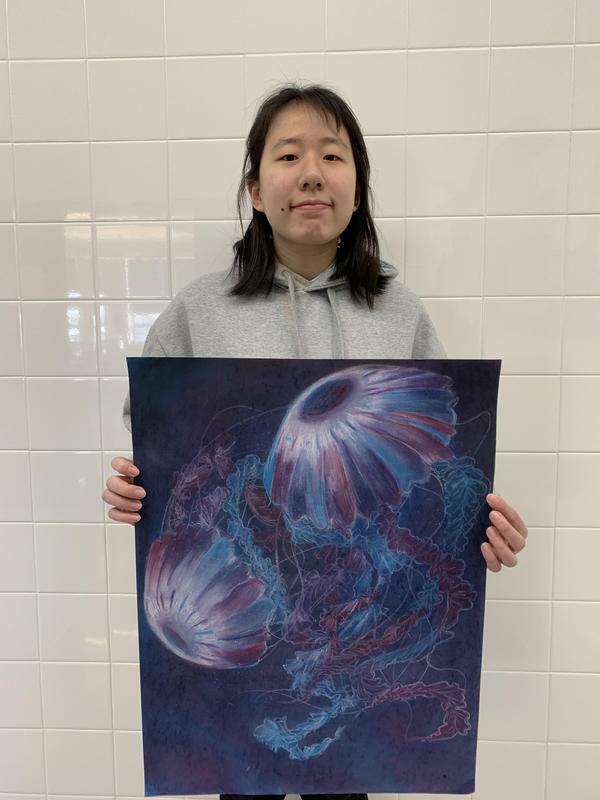 Her work will go on display with other NYC regional Gold Key recipients at the Metropolitan Museum of Art and will now be entered into the second round of the national competition. "Psychadelic", was created using dry pastel on paper.